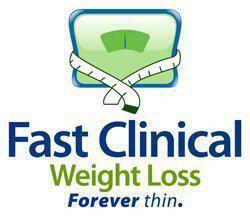 Have you tried diet and exercise to lose weight but still struggle with achieving results? At Fast Clinical Weight Loss, Dr. Gregory Oliver can help you determine if hormonal imbalances are preventing you from shedding pounds. Tests he performs right from his Indianapolis, Indiana office, can tell you if certain hormones are creating conditions in your body that make gaining weight easy and losing it hard. To learn more about how hormone therapy can help you on your weight loss journey, call or use the online booking tool and schedule an appointment today. How can hormone imbalance affect my ability to lose weight? One of the critical issues with weight gain and losing weight is hormone imbalance, which affects both men and women. If you come to Fast Clinical Weight Loss suspecting hormone imbalance is preventing you from losing weight, you undergo blood testing to inspect levels of several key hormones. If there’s a hormone imbalance in your body, you’re more vulnerable to weight gain and you will likely find it harder to lose weight because of lowered metabolism, your body’s process of burning calories. These tests check for, among other things, thyroid, adrenal, and Insulin hormone levels. A proper functioning thyroid gland and healthy thyroid hormone levels not only assist with weight loss, but also with enjoying more energy and stamina. There are many patients that live a very stressful life and produce higher levels of Cortisol in the adrenal gland that leads to rapid and sustained fat production in the body. The overproduction of insulin also leads to unwanted weight gain. When am I most likely to suffer from hormone imbalance? For men the aging process typically comes with testosterone reduction and the resultant side effects, which include weight gain and a large stomach along with fatigue, loss of muscle, and low energy. What is hormone therapy for weight loss? At Fast Clinical Weight Loss, Dr. Oliver is professionally certified in hormone optimization, including aggressive thyroid stabilization and treatment. Using your tests and hormone level results, he evaluates and treats various hormone abnormalities. Hormone therapy treatment to correct your hormone imbalance can consist of oral, topical, or injection infusion of hormones to help you achieve balance. Based on factors like your specific hormone imbalance and your medical history, Dr. Oliver provides hormone medications that are customized for your needs. The frequency and total amount of time you need to receive hormone therapy varies widely on a case by case basis. Dr. Oliver will outline your personalized plan with you after evaluating your initial test results. With a proper balance of your hormone levels, you will likely see dramatic positive weight loss effects, as long as you incorporate good habits like consistent exercise and a balanced diet into your daily routine. To learn more about hormone balance therapy, call or use the online booking tool today and schedule a consultation.